Home Science & Technology What is a Buk surface-to-air missile system? 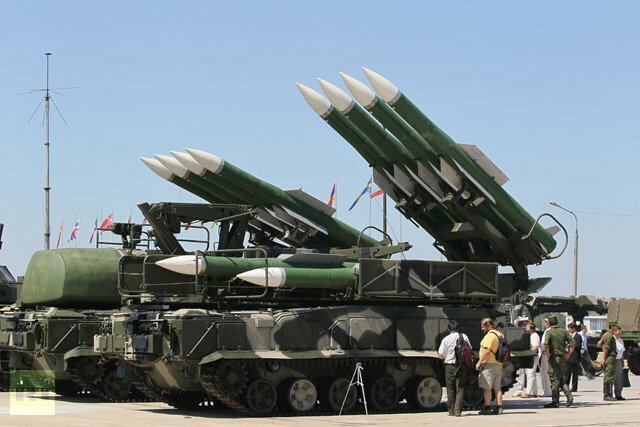 The Buk missile system is a family of self-propelled, medium-range surface-to-air missile systems developed by the Soviet Union and its successor, the Russian Federation. The missile, also known as SA-11 Gadfly (or newer SA-17 Grizzly) is designed to fight cruise missiles, smart bombs, fixed- and rotary-wing aircraft, and unmanned aerial vehicles.